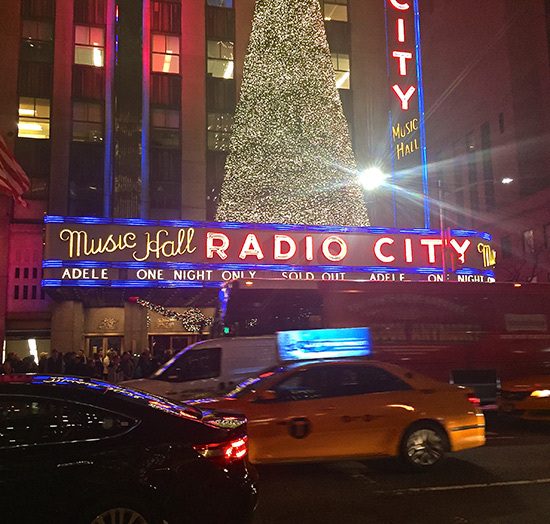 Rosie Danvers and Wired Strings performed live on stage with Adele at New York’s iconic Radio City Music Hall on 17th November, 2015. One of the highlights was performing ‘Set Fire To The Rain’ with 16 of New York’s finest string players.. Rosie wrote and recorded the string arrangement for ‘Set Fire To The Rain’ for Adele’s 21 album. The show will be broadcast by NBC in December 2015.